Three full days of nothing but juice and I stuck to it. Day one I was exhausted, but that's a normal feeling for me. Day two I felt pretty darn great until I unexpectedly had a date with my boyfriend and got to watch him eat sushi and drink wine while I sat across from him sipping caffeine free tea. Day three was similar to day two. Was it hard? yes, and no. Not when I was at work with lots to do, or when I was home alone. There were times when out of habit I'd think "I'd like to go eat real food" but I wasn't really ever hungry. I stayed very hydrated and it was fine. What was hard is that I love food, I'm a foodie. I like the experience of eating, dining, of drinking wine. It's a social thing too, breaking bread with your friends and family. At the end of a long day sitting down to dinner and a glass of wine with my boyfriend is a common shared experience and removing myself from that ceremony was hard. By the end of day 3 I wanted to have a meal, to eat food that I chewed very badly, it did take a lot strength and willpower not to ask my boyfriend for a glass of his wine or a spoonful of his dinner. Was it worth it? yes and no. 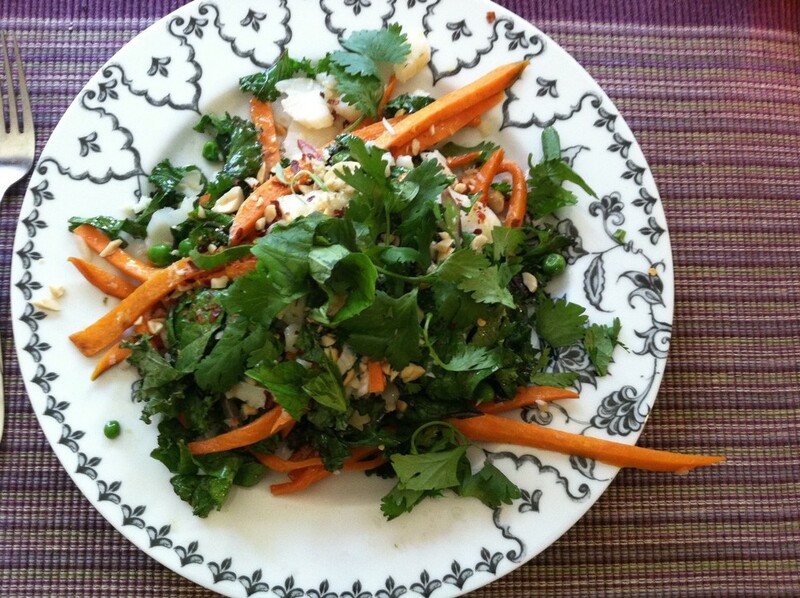 I learned a lot about my eating patterns, and how much I actually do or don't need to consume. I feel fresh and cleaned out. I'm feeling a little refreshed. My skin is clearer for sure. What I hoped to feel was amazing! I had high hopes that this would completely change how I was feeling physically. Re-charge my body. People talk about how AMAZING you feel after a juice cleanse. I feel mostly the same with more awareness, heightened sense of smell, and a better understanding of myself. I'm feeling good, but nothing extraordinary. I do eat pretty darn well normally so maybe that speaks to the fact that I'm mostly on the right track already? That's what I'm going to tell myself anyway. It's not a quick fix. Would I do it again, yes. It's an interesting exercise that can teach you a lot about yourself so yes I'd do it again. Should I have had lower expectations? Probably yes. 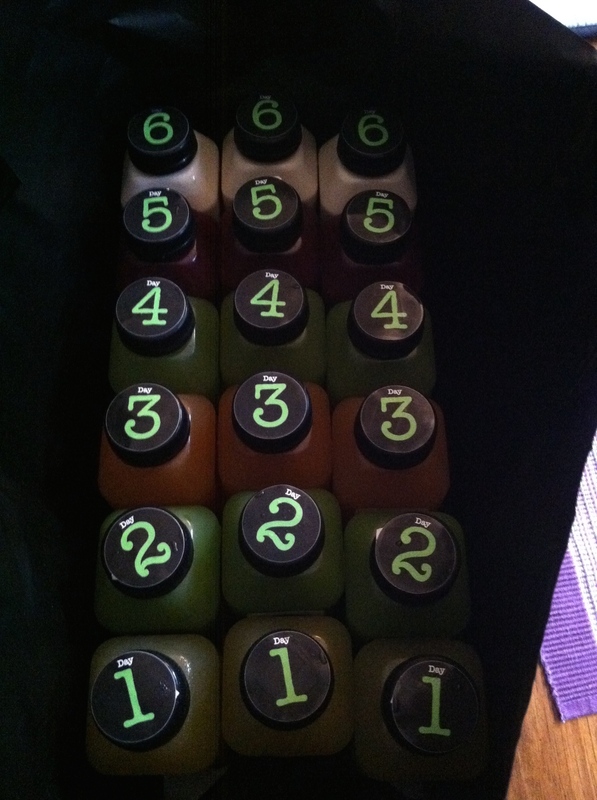 Have you done a juice cleanse? What was your experience? Would you do one again? Would love to hear from you. Looking at my kermit green juice at 4:40am this morning, I'd be lying if I said I wasn't full of apprehension. Would it taste ok? would it be hard to drink? I was pleasantly surprised that it tasted good. I wasn't hungry through the yoga class I taught this morning, but by the time I got done teaching I was ready for another one While getting ready for work I gulped another, it had been about two hours from the first one so I figured that was about. Did I mention there are 6 a day for me to consume? 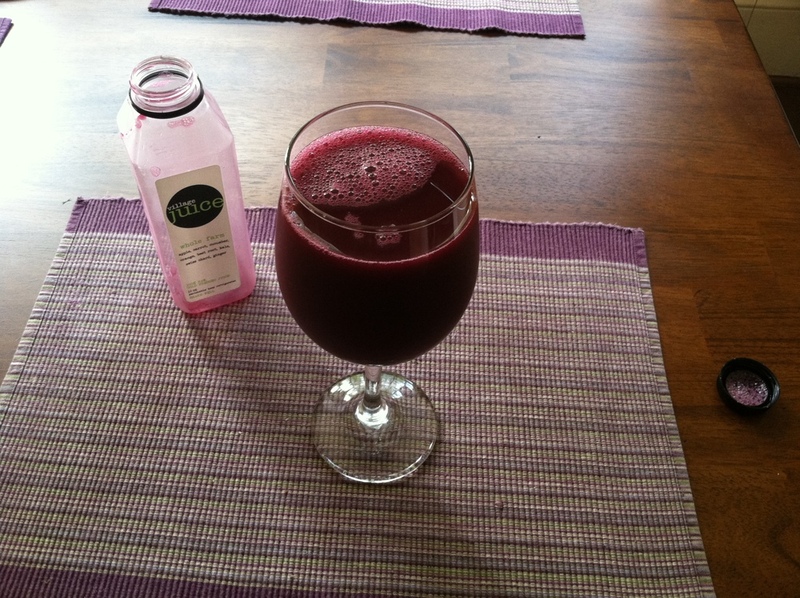 When I got home from work I poured the red beet juice into a very large wine glass to make it feel more festive and sat on my porch enjoying the hum of early evening. After a shower and a super short personal yoga practice I had desert! "blender bender" Almonds, filtered water, dates, cinnamon, vanilla, himalayan salt. Better than tasty, it was GOOD. The big question, how do I feel? A big part of doing this cleanse was to feel energized. Today I wanted to crawl to bed and go to sleep. In short that means no change from how I normally feel, but hell it's only day 1. I'll let you know how I feel tomorrow. 3 days worth of juice!